#okstate wants to share its knowledge with you! Home to countless researchers, the university is a powerhouse of information. As part of its land-grant mission, these experts are available to answer your questions on topics and trends from throughout the year. Being a good digital citizen is much more than knowing the latest and greatest apps — it is about engaging and encouraging others. 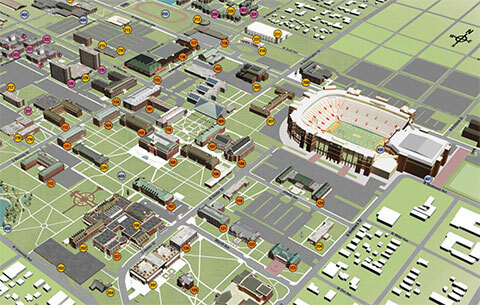 OSU is committed to creating and maintaining a digital living and learning community. Humans of OSU is inspired by the Humans of New York project. Its purpose is to highlight stories of students and employees who call #okstate their home. From inspirational journeys to campus opportunities, Humans of OSU showcases the people who make up the Cowboy Family. Join the Socially Orange ambassador group! Get exclusive content to share to your social media right to your inbox. The more you share, the more points you get and the more chances to win! #okstate is America's Brightest Orange, and we want to see how the Cowboy Family is repping its favorite university throughout the summer. Use #OrangeAdventure to be entered to win! From meeting your spouse to your first twinges of love for OSU, we want to know the place #okstate has in your heart. Share a photo of you and your special someone along with your love story for a chance to win!